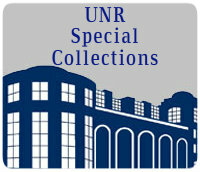 The Nevada State Archives receives records documenting the history of Nevada State Government. We do not have files on individuals unless they were incarcerated in the Nevada State Prison or were in the Nevada Children's Home; these records fall under confidentiality restrictions in many cases. We also have some admission information on people who were in the Nevada State (Mental) Hospital, but not actual medical records for these individuals. We don't have personnel information for Nevada State employees or elected members of State government and the Legislature. Unfortunately, there are no easy answers in the archives. The specialized nature and arrangement of our holdings means that most of your questions are best answered by direct contact with one of our archivists. They will be able to point you in the right direction and shepherd you through the often daunting task of sifting through archival resources. They can be contacted here. Many questions about the archival collection can be answered by browsing our Finding Aids about the major sources in our collections. They can be found here. However, we do get some of the same questions over and over. 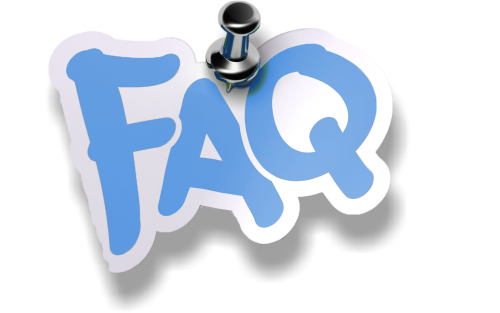 In order to better serve your needs and to let you know what we do and do not have, below is a list of Frequently Asked Questions that may give you a head start. Happy hunting! Births, Marriages, Divorces, Deaths Info? The Nevada State Library and Archives does not have Birth and Death Records. There were no birth or death records kept in Nevada until 1887 when the first vital statistics law was passed by the Nevada State Legislature. Prior to that date, the only possible sources available for proof of birth are newspapers or baptismal records. See the copy of existing newspaper indexes and their locations. Birth and death records from 1887 to the present are recorded in each county, either in the office of the County Recorder or County Health Officer. The Nevada State Office of Vital Statistics has birth and death records from 1911 to the present for all counties. The Carson City Recorder's office has indexed all births and deaths registered in the Ormsby County/Carson City County Recorder's office and made them available online. Registers of births and baptisms for the Protestant Episcopal Church in the U.S.A., Nevada Dioceses 1862-1969 are at the Nevada Historical Society, 1650 N. Virginia St., Reno, NV 89503. For the Diocesan Archives contact the Nevada Diocese of Reno at (775) 326-9440. From 1879 to 1911, incorporated cities required undertakers to obtain burial permits from the county coroner's office. Permits were issued upon the filing of death certificates. These certificates exist for Virginia City and Gold Hill for 1879-1887, and for Carson City 1893-1896. Transcripts of the Storey County Coroner's records are at the Nevada State Library and the Nevada Historical Society on microfilm. The Nevada State Office of Vital Statistics also has marriage and divorce records from 1968 to the present. Divorces are civil court actions and from 1862 to the present are kept in the office of the County Clerk for each county. Civil court cases are filed by case number and indexed by plaintiff and defendant. Marriage certificates are filed with the County Recorder in the county where the marriage license was issued, not where the marriage took place. For up-to-date listings of County Officials, check out the Nevada Association of Counties website. The Archives has some records for marriages and divorces for Carson County, Utah and Nevada territories, 1856-1862. The Nevada State Library has marriage records for Douglas, Lyon, Ormsby, Storey and Washoe Counties for 1862-1900. The latter are available on microfilm and are for research only. Certified copies should be obtained from the office of record. Candidates for state political offices have to file campaign disclosure statements for contributions and expenditures in the Secretary of State's Election Division. The records are kept there for two general elections and transferred to the State Archives. They are filed by title of the elected office and because of the demand for this information, Archives staff created a name index to these records. The records begin in 1896 and are scattered until 1950. The most complete files begin in 1976 and continue through 1998. There is an eight year delay in receiving reports from the office of the Secretary of State. The forms for 1998 to the present are available on the Secretary of State's Election Center webpage. There are no records of the CCC in the Nevada State Archives. The CCC was a federal program and the records are at the National Archives. They are in Record Group 35 "Records of the Civilian Conservation Corps." The records are arranged by state and camp number. Here is a guide to the records is available online. The Civilian Personnel Archives provides information on how to request CCC records from the National Archives. Territorial County records: some records created by the county commissions of Douglas, Ormsby (now Carson City), and Storey Counties were turned over to the State Archives. Descriptions of those records are found in our web pages describing Territorial records. Ormsby County District Court case files: The case files of the Nevada 2nd Judicial District, 1861-1931 were transferred to the Nevada State Archives in order to provide a secure environment. They include civil, probate, and some criminal case files. There is an in-house index containing names of both plaintiffs and defendants. County Tax Assessment Rolls: From 1891-1892 Nevada counties were required by the State Board of Equalization to compile duplicate tax assessment rolls and submit them to the State Controller's office. The rolls were audited by the Controller who specifically was looking for differences in how railroad lands were taxed by individual counties. All mining claims are recorded with the County Recorder. Taxes are assessed by the County Assessor and paid to the County Treasurer. All disputes over mining claims were decided in District Courts, whose records are filed with the County Clerk. The claim may also be described in the tax assessment records, filed with the County Assessor. The State did not keep any records of individual mining claims except where the matter of location or claim was appealed to the Supreme Court. Mining Companies incorporated in the State filed their articles of incorporation with the Secretary of the Territory from 1861 to 1864 and with the Secretary of State beginning in 1865. The State Archives has some of these incorporation records from 1861 to 1926. Mining companies that incorporated in another state were not required to file papers with the state until 1891. They did have to file information with the County Clerk in the County in which the corporation did business. The Secretary of state maintains a record of all active corporations or those that disincorporated after 1926. A compilation of all domestic and foreign corporations, 1865-1912, can be found in the Biennial Report of the Secretary of State for the years 1911-1912, published in the Appendix to the Journals of the Senate and Assembly, in 1913. The State Mine Inspector kept card files showing mines in operation from 1909 to 1974. They are filed by company name by year. The records for the years 1909-1974 are in the State Archives with an alphabetical file of all company names for all years. This record series also includes some description of the mine's operation, addresses of managers, licenses of hoist operators (1922-1971) and mining accidents (1909-1971), both fatal and non fatal. These accident reports are now maintained by the Nevada State Industrial Insurance System. The Nevada State Archives has NO naturalization records. Naturalization records are among the worst kept of all civil records. Some are found in district or federal courts and many just do not exist. The background of the naturalization process sheds some light on why this is so. The first Act, in 1790, made naturalization possible for any free, white adult with four years of U.S. residency. From then, until 1906, any federal, state or local Court of Record could confer citizenship. At that time, the Immigration and Naturalization Service, established to bring order to the process, began reporting its findings to the judge of the relevant court, who then signed the Order. Naturalization of women and children differed in that, before 1952, children under 21 years of age received derivative citizenship and have no separate file. Women, on the other hand, received automatic citizenship by marriage after one year of residency, and needed no Declaration of Intent. Many persons were granted citizenship outside the normal process. Blacks became citizens by constitutional amendment in 1868. Indians, who were wards of the state until 1924, became citizens by an Act of Congress. Citizens who were living in territories which were brought into the U.S. as a block, by treaty, were often awarded citizenship en masse. The incorporation of Texas in 1845 is a case in point. The forms used for Naturalization documents have also varied. Before 1906, each court had its own form, usually one which required only the forswearing of allegiance to the Head of the State from which the applicant came, and the signature of two witnesses. The Immigration and Naturalization Service required forms to include name, age, date and place of birth, occupation, physical description, current and former residences, Ports of Debarkation and Arrival, name of the ship, date of arrival in the U.S. In 1912, names and birth dates of spouses and children were added. Beginning in 1930, photographs were often included. The normal process has required two classes of documents. The Declaration of Intent was often filed upon arrival in order to begin establishment of residency without delay. With a copy of this filing in hand, final papers could be obtained from any court after residency requirements had been met. A two-to-seven year lapse between the Declaration and final papers is common. The final paper has four parts: Petition, which carries the most information; Affidavits of witnesses and petitioner; Oath of Allegiance; and Court Orders of admitting denial, or continuance. Name changes often occurred at this time. In Nevada, naturalization records may be found with the state district court and U.S. District Court Records at the National Archives at San Francisco. The Nevada State Archives does not have any records of the Stewart Indian School. The school was operated by the U.S. Bureau of Indian Affairs. The Pacific Branch of the National Archives in San Francisco has Records Group 75.20.4 Records of the Carson/Stewart Indian School, NV. Textual Records (in San Francisco): Coded files, 1911-44. Administrative files, 1914-24. Education Division records, 1924- 47. Correspondence with other agencies and schools, 1911-23. Letters received from Walker River, 1902-7. Stewart School correspondence, 1949-56. Individual student files, 1919-62. Enrollment records, 1931. Issue books, 1898-1913. Navajo program records, including administrative records, 1948-57, and student files, 1947-58. Employee records, 1890-1923. E.C.A. store invoices, 1943. Sound Recordings: 500 items, in San Francisco, Soundscriber records of the Navajo school program, 1950-54. All the records from the State Department of Education that have been transferred to the State Archives have been reviewed and NO student lists were found among them. The records transferred include Minutes of Meetings of the State Board of Education, Deputies' Annual [Statistical] Reports, High and Elementary [Statistical] Reports, County Superintendents' Fiscal Reports, County Auditors' Reports and Teacher Retirement records. There is also a series of correspondence from school districts relating to funding, problems and occasionally an evaluation of school physical plants. According to the Nevada Compiled Laws (1929-49), there was an annual census of all school age children taken by the teacher, or a designated census marshal for the school district. These census' were sent to deputy superintendents, located in regions around the state, who in turn compiled the statistical information to be included in reports to the state superintendent for the apportionment of funds. The State NEVER collected information on individual students. This was done a regional level and kept in several offices around the state. When the more than two hundred school districts were consolidated into seventeen in 1956, the statutes made no provision as to the transfer, care or maintenance of student or local school district records. No one seems to know what happened to these records. According to the 1911 "Act Concerning Public Schools...," teachers were supposed to turn their registers of students over to the trustees of the school district at the end of each year. The trustees were elected in local elections. One of trustees was to be elected clerk and maintain the records of the district. At least until 1949, the real and personal property of a dissolved school district was turned over to the county commissioners. If school districts were consolidated, then the real and personal property became the obligation of the new board of trustees. Records are not specifically mentioned. From 1911 to 1949, census marshals took an annual census of school age children in each district. These were separate from teachers' registers. The report contained the full names, birth dates, gender and race of all children less than twenty-one years of age. These reports were approved by the clerks of the boards of trustees and sent to the Deputy Superintendent. This information was turned into statistics for the Deputy Superintendents' reports listed above. There was no obligation to keep these census reports after the compilation. The records of defunct vocational and trade schools are at the office of the Nevada Commission on Postsecondary Education. Transfer records to the archives? Get information sent to me? Find what I'm looking for? The archives is located on the second (upper) floor of the State Library & Archives building at the Capitol Complex in Carson City. See map at left for our location. There is street parking as well as a parking garage located on the south end of the campus. We have a reading room for the review of our documents and extensive holdings from which our archivists will pull your desired records. Please identify the name of the Agency, Board or Commission on the Transferred from line. Include the date requested and the name of the person requesting to transfer the records. Use the numbered lines to list the Record Series Title, the Records Authorization Number (RDA#), and the Date Range for each individual record series. The retention and disposition schedule will provide the information regarding how long your agency retains the records before they can be transferred to the Archives. Records that have not met the specified time will not be accepted for transfer to the Archives. If you have questions regarding your agency and/or general retention and disposition schedule, please contact Sara Martel in the Records Management program at 775-684-3422 or smartel@admin.nv.gov. Incomplete forms will not be accepted and will be returned to the agency. Please print and fill out the .pdf version of the transfer form found here. When completed, the form can be e-mailed to Archivist Liz Moore at emoore@admin.nv.gov or faxed to 775-684-3371. Copies of archival documents and photographs are $0.10 per page. However, there is no charge for orders with under 30 copies. Orders over 30 copies will accrue the $0.10 per page charge starting at page 1. If you prefer, we can also scan and upload the copies to a flash drive. This is an additional $5.00. Alternatively, patrons are welcome to bring digital cameras or portable scanners to makes their own copies of documents. There is no charge for this. State agency personnel may request photocopies and microfilm/microfiche reader-printer machines to duplicate materials for their agencies. There is no charge for 300 pages or less. More than 300 pages will be charged at $0.10 per page unless the agency supplies its own paper. Mail, e-mail, or fax requests will be invoiced and payment must be received prior to starting any copy work. Note: The archives only accepts cash or check. We are unable to make change. No credit or debit cards. The archives is happy to send the requested information to you, either electronically or by mail. The same copy rates apply as in-person reproductions. Copies of archival documents and photographs are $0.10 per page. However, there is no charge for orders under $30.00. Orders over $30.00 will accrue the $0.10 per page charge starting at page 1. Most of our collection is listed by category on our State Government Records page. Research services are limited due to a small staff, therefore, it is best for you to visit us to conduct your research. The Nevada Archives is a public facility and open from 9:00 a.m. - 3:00 p.m. Monday through Friday, except state holidays. If, however, you are unable to visit, we will perform a limited amount of research for you. Detailed research questions or a searching for a specific document within a record series is not possible given the circumstances. Generally, this means that staff will identify the series most likely to contain the information requested. For in-depth projects, our archivists are not able to do research on your behalf. Please check the Research page under Archival Topics and Resources for a list of private researchers. If you are unable to find what you're looking for, please contact us. We're happy to help! We are happy to help you find what you're looking for! Just give us a buzz using one of the methods below and we'll get back to you in no time! Still can't find what you're looking for? Check out these links below for more archival resources about Nevada and the American West.